German Auto Fest Sunday 23rd September Gough Whitlam Park Bayview Ave, Earlwood. 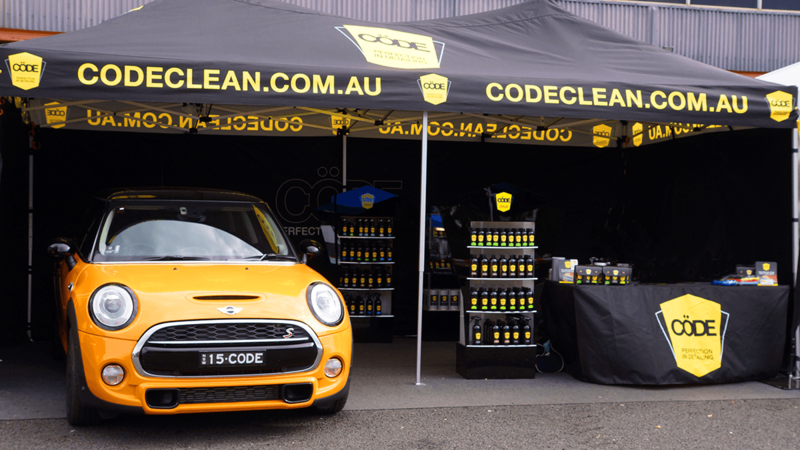 On Sunday 24th September CödeClean will be displaying at the Sydney German Auto Festival. 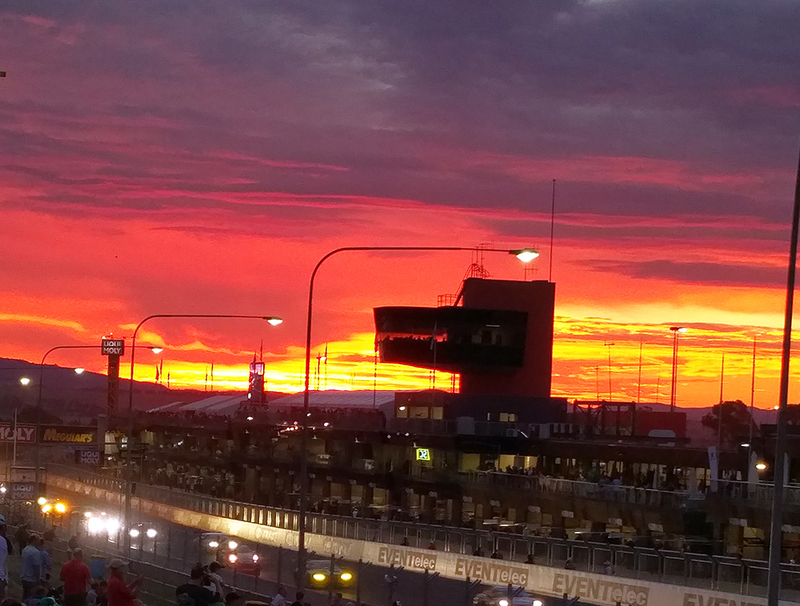 The event will be hosted by the Mercedes-Benz Club (NSW) Inc. at Gough Whitlam Park Bayview Ave, Earlwood from 9.30am. 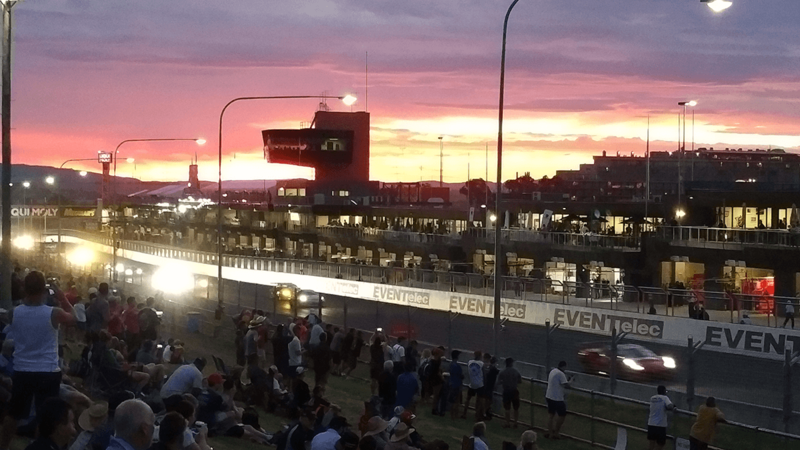 In the leadup to this event we thought we might write about some of the drivers that made the German Marques so famous. In his pursuit of all things great for Germany, Hitler had given Mercedes-Benz 500, 000 Reichsmarks to develop a car that would dominate world motor racing. This Mercedes-Benz did. However, when Auto Union and Dr Porsche heard about this “grant” they convinced Hitler that developing two cars would be better than one. Hitler agreed and split the 500,000 Reichsmarks in half allocating 250,000 Reichsmarks to each company. The “word on the street” at the time was that Mercedes-Benz were a little displeased. None the less a great contest was born and over the next 6 years these two great marques dominated world motor sport thrilling the public at every Grand Prix. The era was the 1930’s and the cars were the Silver Arrows, so called because of their shiny all aluminium appearance. The Marques were of course Mercedes-Benz and Auto Union. Whilst the Silver Arrows have enjoyed much acclaim over the years, the names of the drivers that made them famous have been lost in time. So, we though that we might give you a slight insight into 4 of these men. Note: the European Drivers Championship of pre-1950 was effectively the equivalent of the Modern Formula One World Championship. Caracciola was probably the most acclaimed of the Mercedes drivers, winning the European Championship three times, 1935, 1937 and 1938. He also won the European Hillclimbing Championship three times, twice for Mercedes-Benz and once for Alfa Romeo. Like so many of the drivers of his time, Caracciola raced in many of the sport’s theatres. He excelled in all, especially wet conditions gaining the title of Rainmaster. One must remember that in those days the drivers did not have seat belts, role cages, helmets, no fireproof clothing and in order to get out of the car the steering wheel had to be un-bolted. Italian GP in Monza, 11th September 1938. Rudolf Caracciola in front of a Mercedes-Ben W 154 Silver Arrow. Drawing by Walter Gotschke. Caracciola remains today the most prolific winner of the German GP, 6 wins in total and unlike so many of his contemporaries, joined the almost illusive club and survived to retire from the sport in 1952. Hans Stuck’s motor racing career began in Hillclimbing before moving to Grand Prix in 1934. His involvement with the Silver Arrows came about through a chance meeting with Hitler which lead to an introduction to Ferdinand Porsche. Porsche had sold his design to Auto Union and was at that time under contract. Struck’s experience as a hill climber gave him an advantage on the track which when combined with the superior traction of the Auto Union car, enabled him to win the Czechoslovakian, German and Swiss GP’s of that year. In the following year, he won the Italian Grand Prix. Whilst always in the thick of it and scoring some 2nd and 3rd places, his 1935 win was to be his last GP win. Yet, throughout the 6 years from 1934 to 1939 he continued to feature in hill climbing recording a number of European wins. After the war Stuck resumed racing as an “Austrian” however it wasn’t until 1957 that he was to win the German Hillclimb Championship. Struck decided to retire on this high note. Like Caracciola, Stuck survived and retired from motor racing at the age of 60. Charismatic and privileged, Seaman was educated at Rugby School and Trinity College Cambridge. In 1934, he took his own MG across the channel to compete in the Voiturette race of the Swiss GP at Bremgarten, which he won. Following more success with a modified Delage, he was spotted by Mercedes-Benz chief Neubauer and signed up with their GP team in 1937. In 1938, he won the German GP and came second in the Swiss GP of the same year. Seaman was the only Englishman of the time matching it on the track with the German locals. In December 1938, after winning the German GP he was photographed giving a half-hearted Nazi Salute. Later that year he married enchanting and beautiful Erica Popp the daughter of an Aristocratic Director of BMW. This enhanced his image as a Nazi sympathizer and in some quarters branded him as a Nazi, which he wasn’t. In reality, Seaman wanted what all drivers want, to race for the best and the best was Mercedes-Benz and Auto Union. He has been described by some as a risk and thrill driver, he certainly pushed the limits and on the on the 22nd lap of the 1939 Belgian Grand Prix his race and life came to an end. 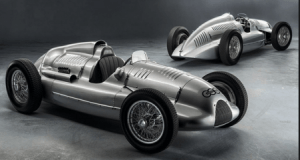 A former motorcycle racer Rosemeyer joined Auto Union in 1935. Over the next three years Rosemeyer was to win ten Grand Prix’s. His head to head battle with rival Caracciola both on the track and at attaining land speed records was legendary and is arguably one of the most famous motor sport battles of all time. A skilled mechanic his practical knowledge greatly assisted the team in the continuing development of the cars. In the racing world, he quickly attained celebrity status, further enhanced when he married the famous aviator Elly Beinhorn. Sadly, his life came to an end on the Frankfurt to Darmstadt section of the autobahn attempting to beat Caracciola’s record of 271 MPH. Having already broken the record with a speed of 276.1MPH, he went for another run. Caught by a gust of wind the car flipped at around 270mph and he was killed. The whole German Nation mourned his passing. 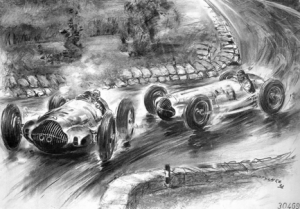 Should you be interested in reading more about the Silver Arrows, may I recommend Racing Silver Arrows: Mercedes-Benz Versus Auto Union 1934-1939 by Chris Nixon. There is also an excellent DVD that you can buy that complements the book. Enjoy.